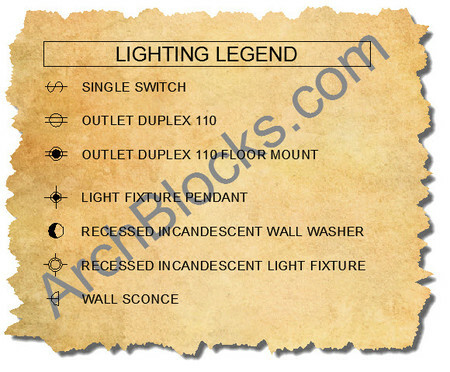 This starter kit of lighting plan CAD symbols will help you quickly get your lighting plans started and finished. There are 7 total CAD symbols in this library as shown in the preview image above. If you need a more detailed lighting CAD electrical symbols library, take a look at the ArchBlocks AutoCAD Electrical Symbols library. You can purchase and download this CAD blocks library NOW! Be sure to see the How-To video, AutoCAD Lighting Plan ~ Electrical Wiring tutorial by clicking HERE!